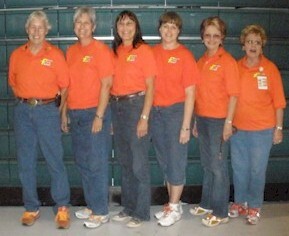 Flash's top team FlatOut set its first team-best-time at FAX May 16, 2009 running a 16.974 !! 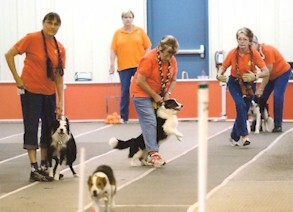 Thanks to Twister, Beany, Jack and Tara for putting Flash in the 16 second Club !! Congratulations to title earners Diane & Toby FGDCh-40K, Diane & Gabby FGDCh, Susan & Tara FGDCh, Susan & Vapor ONYX, Barbara & Prix ONYX, Nancy & Sniper FMX, and Diane & Caylee FDCh-G !! 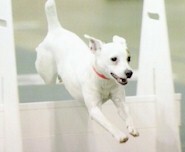 Flash is owned by Barbara Craig of Lakeland, FL. Members come from Polk, Hillsborough and Osceola counties and train in Lakeland. Contact Barbara at Flash840@gmail.com for more information. 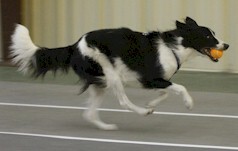 Flash is racing at most of the Region's tourneys. We will be racing three teams at the next tourneys -- in Regular, Multi and Open Divisions. 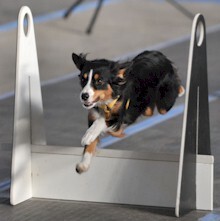 Some members of Flash are also members of Lakeland Dog Sports, Inc which owns the flyball racing equipment used for tourneys which we host all over Florida. 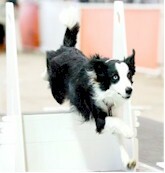 Other clubs that do not own a flyball ring are welcome to rent the equipment for indoor tourneys. 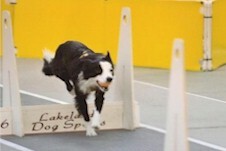 Contact Barbara Craig at lakelanddogsport@aol.com for more information. 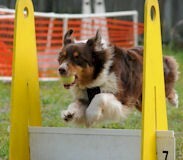 Visit http://www.LakelandDogSports.com for information on our training classes. Welcome to the newest members of the Flash team !! Photos by Crystalball Media http://www.crystalballmedia.com/events, SwiftBennet Photography http://swiftbennett.com/, Britt Photography http://www.brittusa.com Rose Photo, Tony Rider of Revd Up Agility, Kim Stewart Photography and Barbara Craig.